We believe a “Trailblazer” is someone or something that forges a path of greatness and guides others along the way. 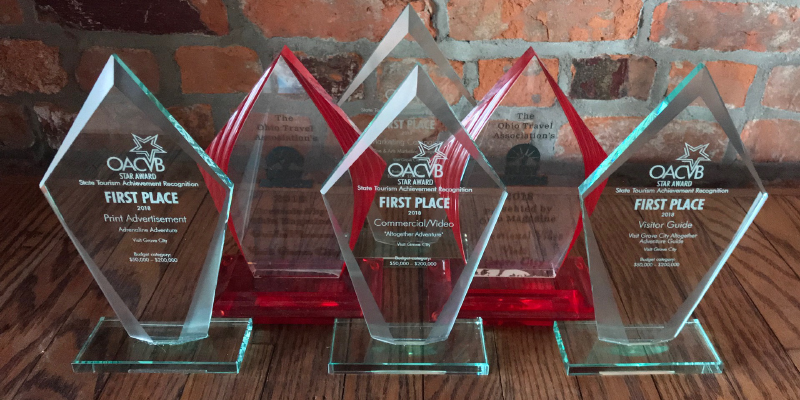 Visit Grove City is thrilled to share the Trailblazer Awards, aimed at celebrating the Grove City tourism community and honoring the people, places, and hard work that make it successful. 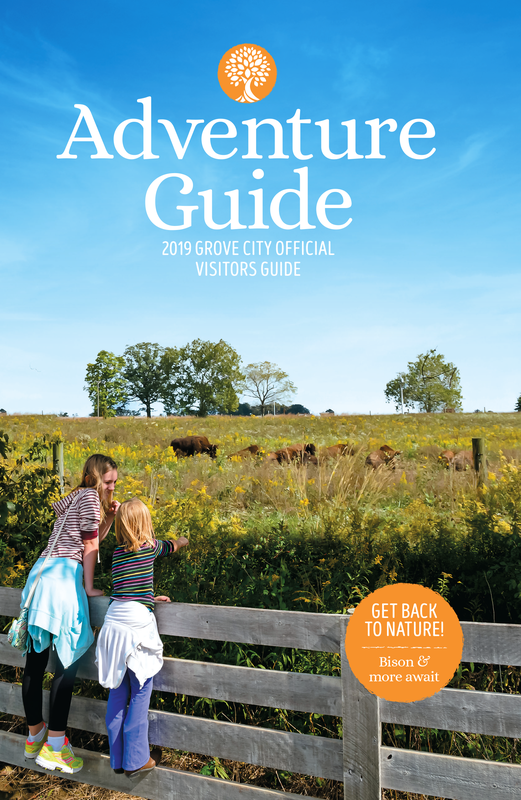 (Originally published Dec 21, 2018) – Visit Grove City received recognition for achievement in marketing and advertising at two major industry programs this year, bringing home a total of eleven (11) awards. (Originally published 3/4/2019) – Visit Grove City seeking two (2) trustee-at-large candidates. 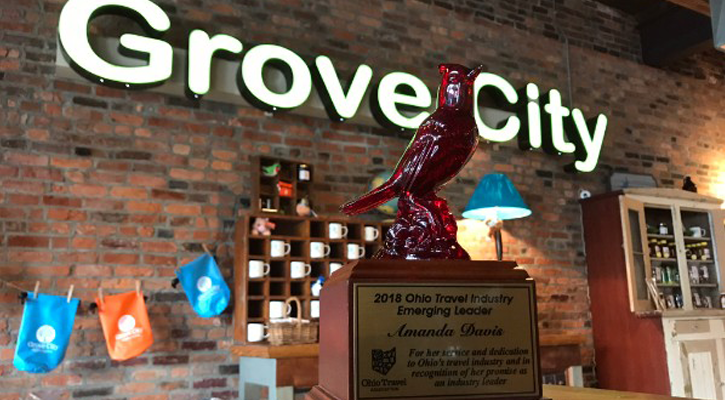 (Originally published Oct 3, 2018) – Amanda Davis, Executive Director of Visit Grove City, received statewide recognition as a travel leader at the Ohio Travel Association’s Emerging Leader Awards presentation, held Sept. 27 in Sandusky, Ohio. She accepted the award at the annual Ohio Conference on Travel held at Cedar Point. 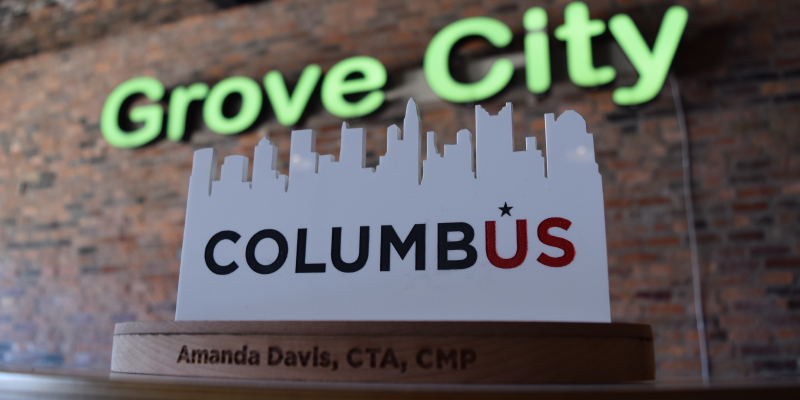 (Originally published Mar 21, 2018) – Visit Grove City’s Executive Director, Amanda Davis, CMP, CTA, is the 2018 Certified Tourism Ambassador™ of the Year. The award represents remarkable excellence in customer service and hospitality and is presented on behalf of the Greater Columbus Regional Program and the Tourism Ambassador Institute®.